Welcome to Yoga Musings. 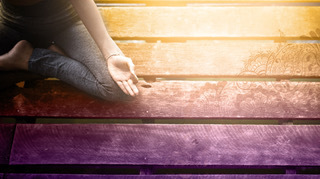 This blog will center around yoga and the business of yoga. I will give you a little journey of how Ashtangasana got to this point. I started out with training teachers. I absolutely love training teachers. I am probably happiest when in the middle of a YTT. Watching trainees take in the teachings, grow spiritually and in their practice, go from being intimidated in hearing their voice to commanding the front of the room is just so exciting! I figured that since I loved teaching YTTs so much, I wanted others to enjoy the experience of teaching trainees. I was not attached to my curriculum…I wanted to share it. It then evolved to me selling the curriculum. I realized there are many people that would find this process overwhelming….thinking about how people learn best, how best to convey the material, how to lay out the lessons, how to write good quality tests and quizzes that reflect true learnings. It can be a bit of a mind mess but I love it! Thus, I had to then create a step by step guide of how others can teach my training! Teacher manual was then created. As I cannot script my lectures, I had to convey what my intentions were in the lectures, the exercises, etc. This was another interesting process, to step out of myself and see what someone else would need to know if they taught this program. As most studios follow the guidelines of Yoga Alliance for Yoga Teacher Trainings, many of the studios have the same format- so many hours of philosophy, history, teaching methods, ethics, anatomy, etc. Why do we have to keep recreating the wheel? The moment we verbalize the teachings, whether using the Ashtangasana material or your own, your words, lessons are still an expression of the your wisdom, experience. and interpretation. My instincts were correct. I have had wonderful opportunities to work with so many studios across the United States. Not only do I get to support studios having the experience of creating their own teachers, but I have also facilitate the blossoming of so many Yoga Instructors! Next part of my journey was realizing so many Yoga Studio Owners feel rather isolated as business owners. I wanted to help bring together these smart studio owners and create a community….thus Eka Groups and Eka Summit were formed! My next posting will share this experience…..